• Daily buffet breakfast, with your choice of coffee, tea, cappucino or iced tea. • FREE daily afternoon tea at Yonne Café & Bar. • Free cancellation up to 7 days before date of arrival. • If cancelled within 7 days before date of arrival, the total price will be charged. In case of no-show, the total price of the reservation will be charged. • Failure to arrive at hotel will be treated as a No-Show and no refund will be given. • Extra beds are not available for this room. • Stay extensions require a new reservation. • Your room will be guaranteed for late arrival. • The price shown DOES NOT include any applicable hotel service fees, charges for optional incidentals (such as minibar snacks or telephone calls), or regulatory surcharges. The hotel will assess these fees, charges, and surcharges upon check-out. • We require that you are at least 18 to check in. • Base rate is for 2 guests. • Total maximum number of guests per room is 2. 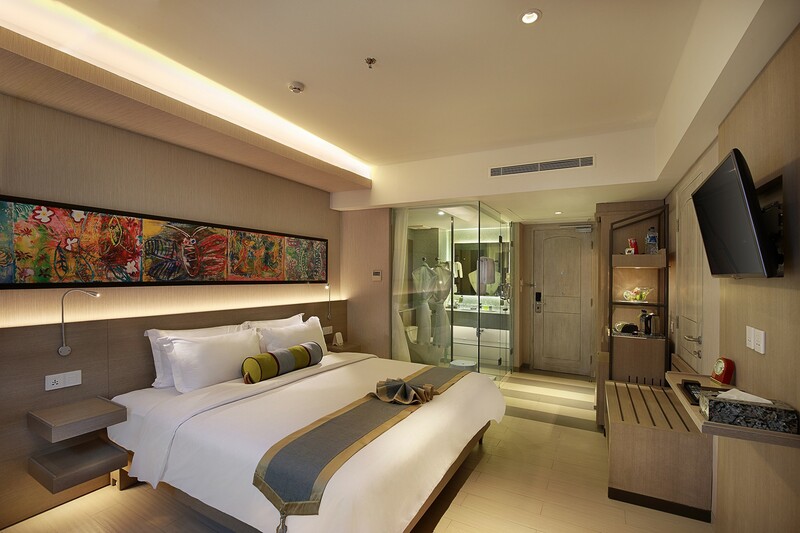 • Maximum number of adults per room is 2. • Maximum number of children per room is 1. • Maximum number of infants per room is 1. • This property considers guests aged 11 and under, at time of travel, to be children. • This property considers guests aged 5 and under, at time of travel, to be infants. • Availability of accommodation in the same property for extra guests is not guaranteed. • Your credit card is charged the total cost at time of check in. • Unless specified otherwise, rates are quoted in Indonesian Rupiahs. • In accordance with local Balinese regulations, all visitors must remain within the hotel property during NYEPI DAY (Seclusion Day/Hindu New Year) on March 24, 2020 (from midnight March 23, 2020 to early morning March 25, 2020). Check-in and check-out will not be possible on March 24, 2019. For more details, please contact SenS Hotel and Spa, using the information on the reservation confirmation received after booking.